To oppose the recent price rise in diesel, petrol and LPG, the Bharath Bundh call given by BJP, JDS and many other organizations was a grand success in Ramanagaram. 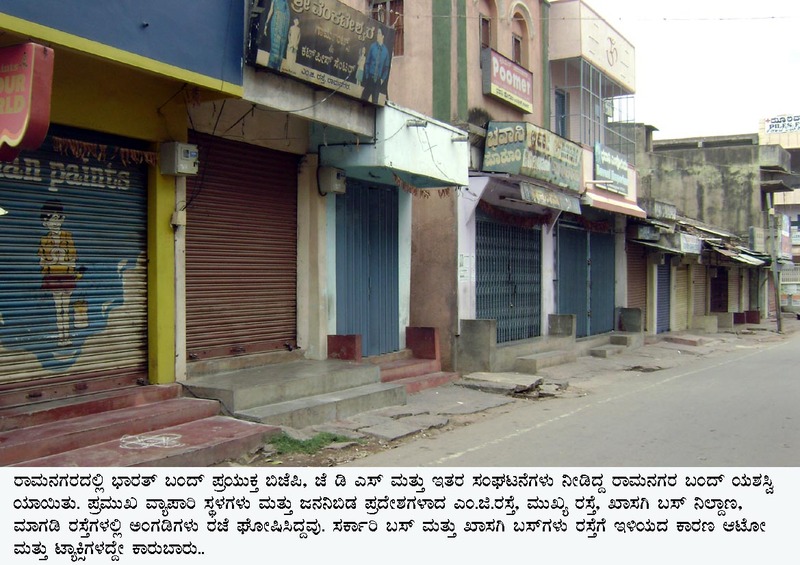 All merchant establishments were closed. KSRTC and private buses did not ply. The Bangalore Mysore highway traffic was not as usual. The main streets in the town wore a desert look as people too decided to stay in their homes. Petrol bunks, cinema theaters were also closed. How ever Government offices functioned but without the general public.